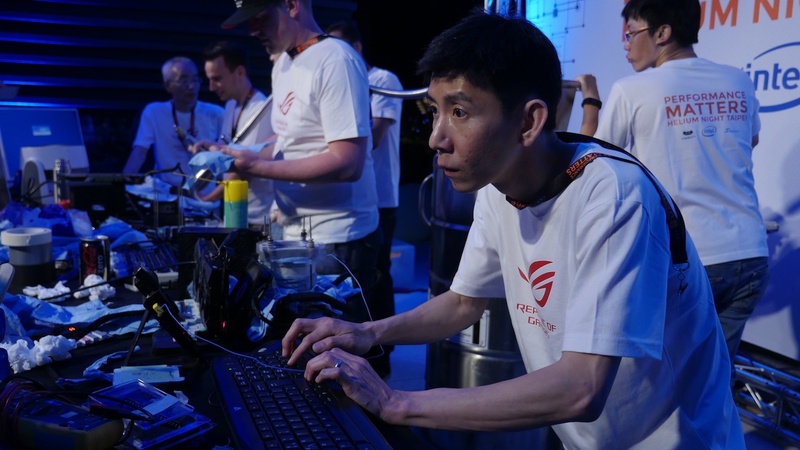 It’s been a few weeks since the conclusion of the Taipei 2017 event. 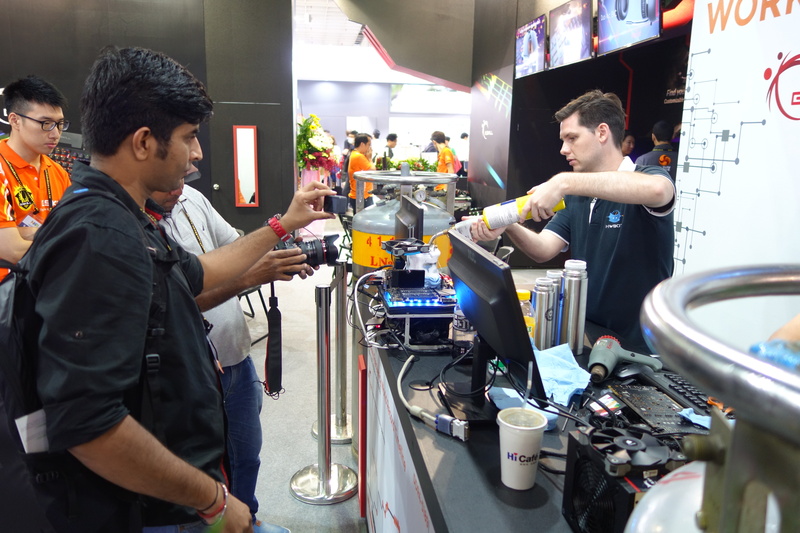 It was a great event to be part of, spanning a ten day period that included the Computex 2017 trade show, the largest in Asia and one of the most important tech events of the year. 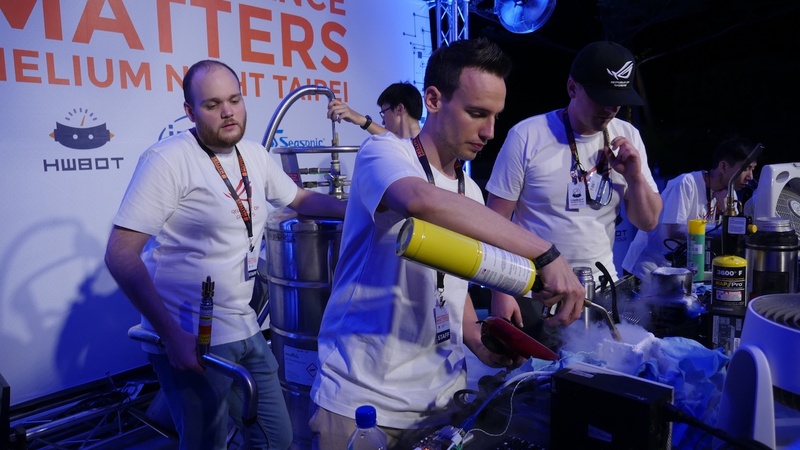 As a stop on the HWBOT World Tour it included Overclocking Workshops, a Live Extreme Overclocking contest, a social Gathering and also a special Performance Matters event that helped Intel launch their latest processor platform. 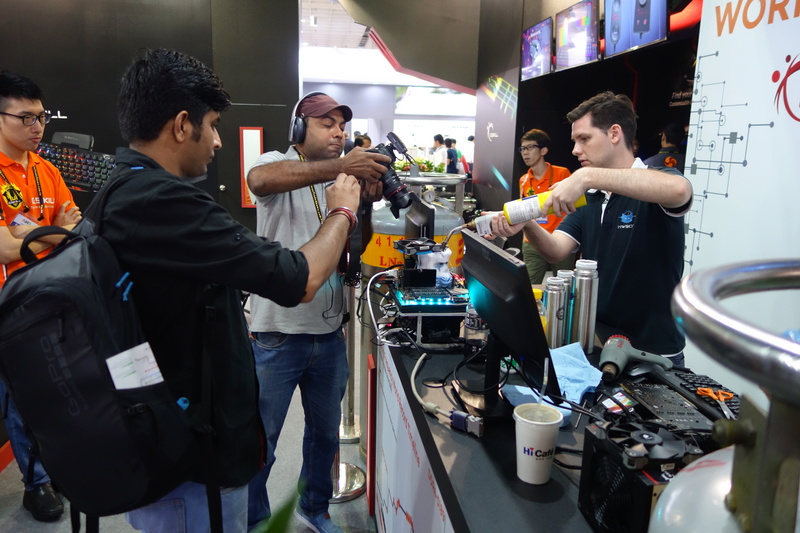 It was one of the busiest and also most rewarding events the HWBOT team has ever undertaken. 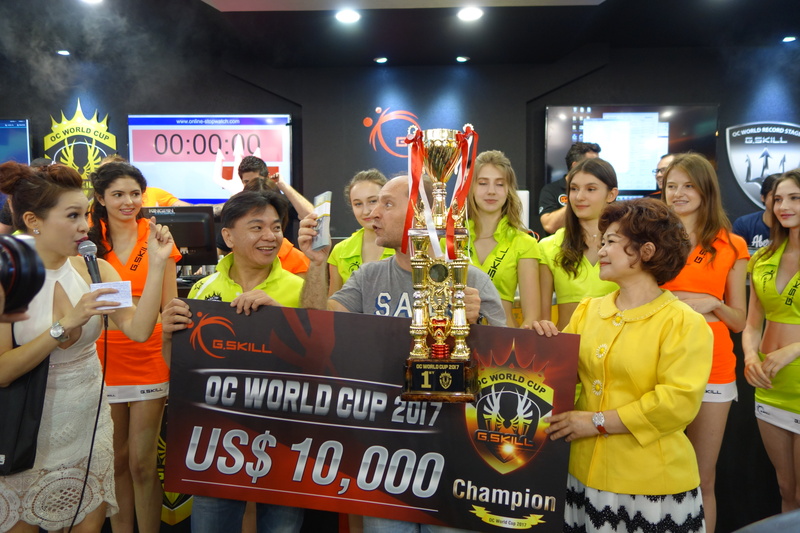 Let’s take a look at what happened in Taipei 2017. 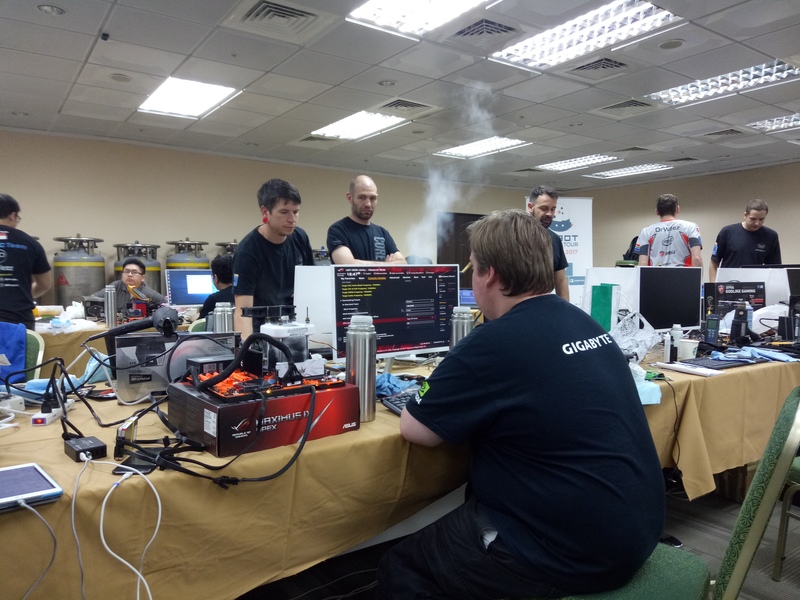 At the heart of the HWBOT World Tour is the opportunity to help the global overclocking community come together and have a good time in a relaxed social environment. 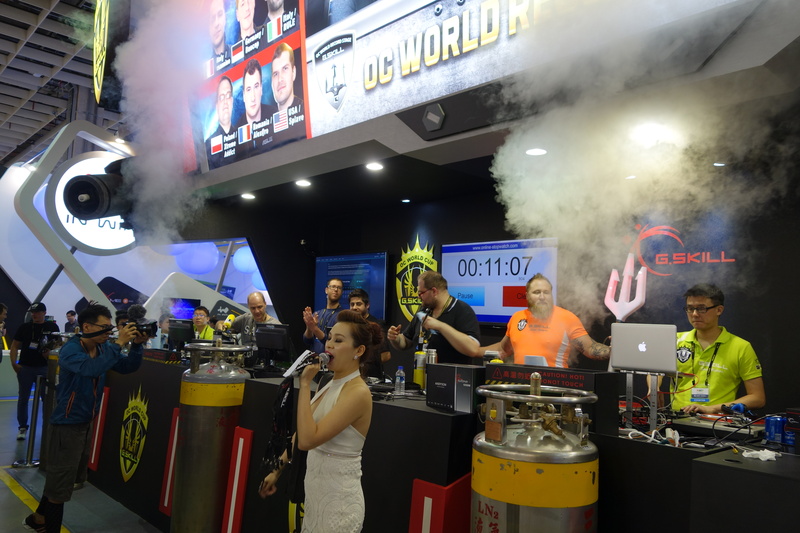 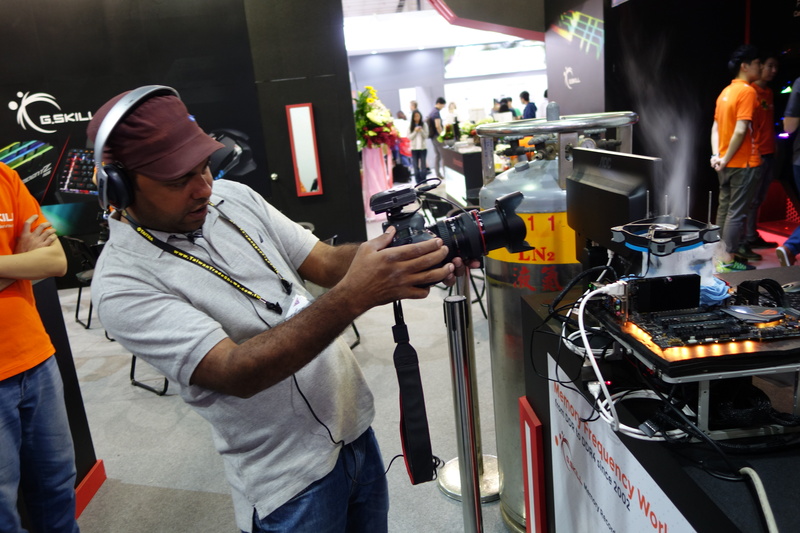 From May 26th to 28th, the HWBOT World Tour hosted an Overclockers Gathering where Overclockers enjoyed unlimited access to liquid nitrogen in the company of others with a thirst for extreme, sub-zero overclocking. 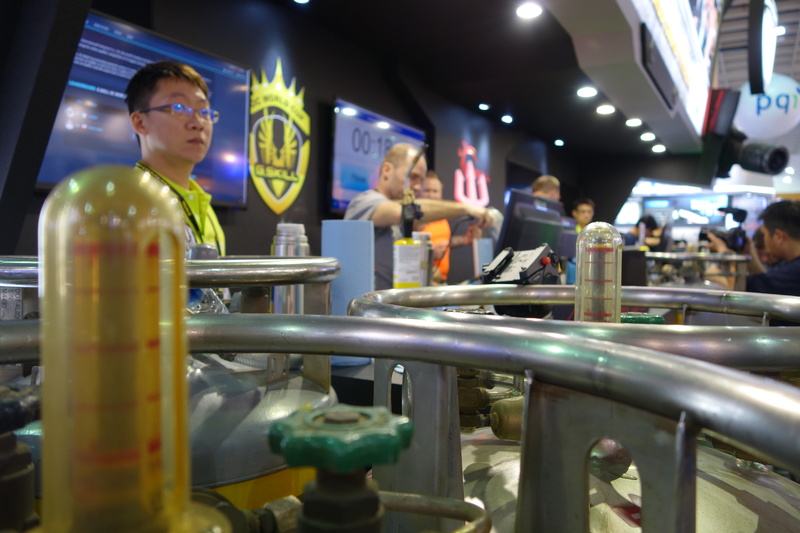 The gathering invited all overclockers in the greater Taipei region (many of whom were in town for Computex) to get together for three days of overclocking fun. 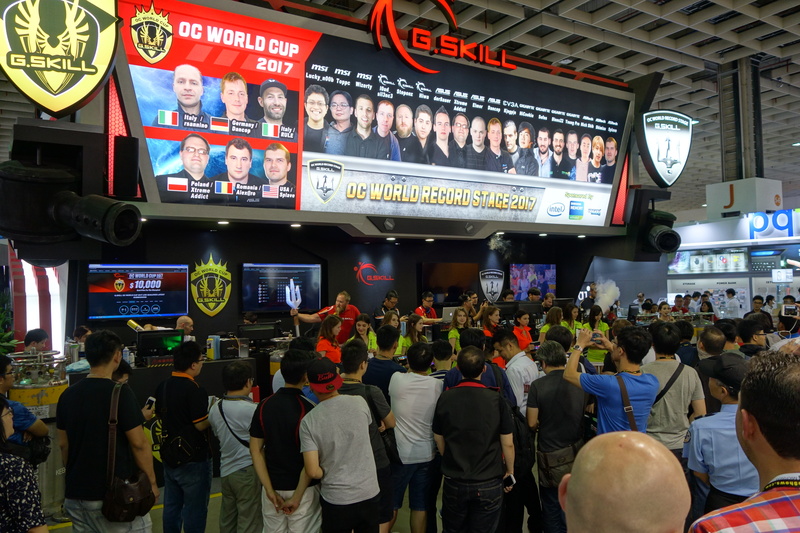 HWBOT managed to secure a great spot for the event inside the Taipei World Trade Center building, smack bang in the middle of the city’s Hsin-Ye area. 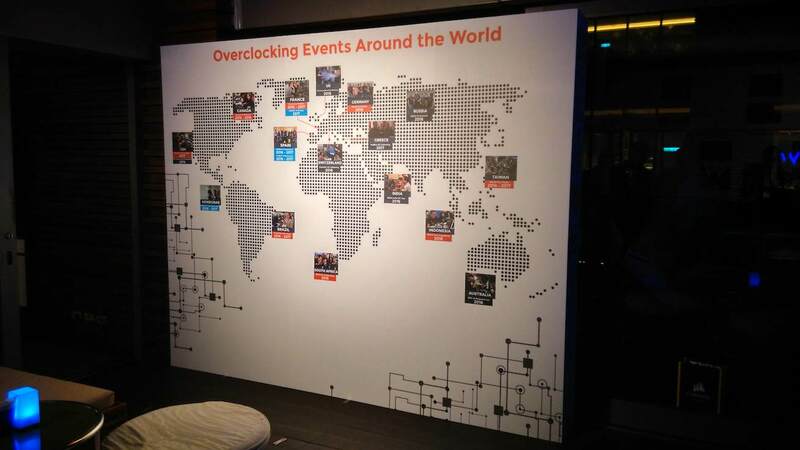 The event attracted overclockers from all over the world with several familiar faces from Europe, the US, Australia and of course Asia. 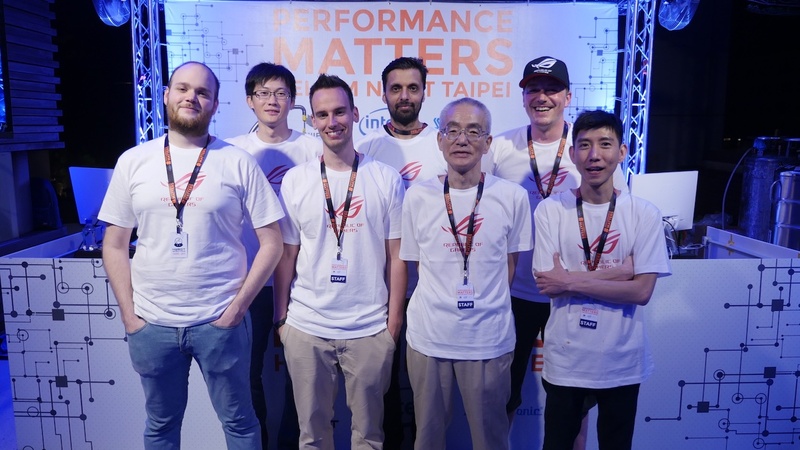 Read more about the Overclockers Gathering at Taipei 2017 here. 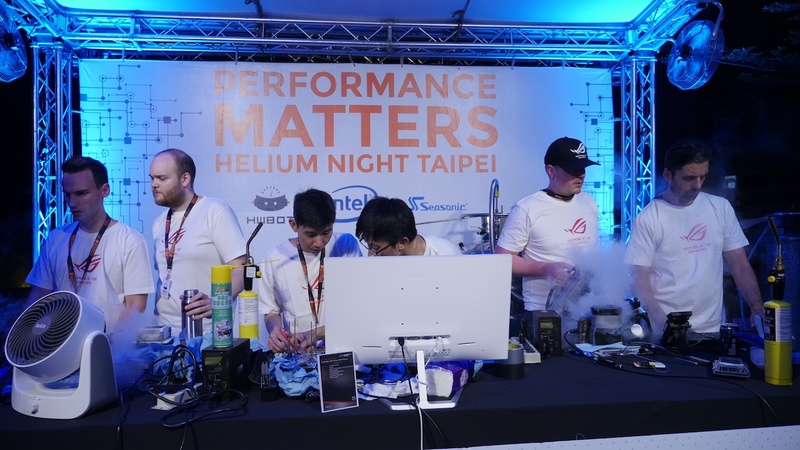 The Performance Matters Helium Night brought together many of the world’s most prominent technology media as well as industry partners Intel, ASUS and Seasonic. 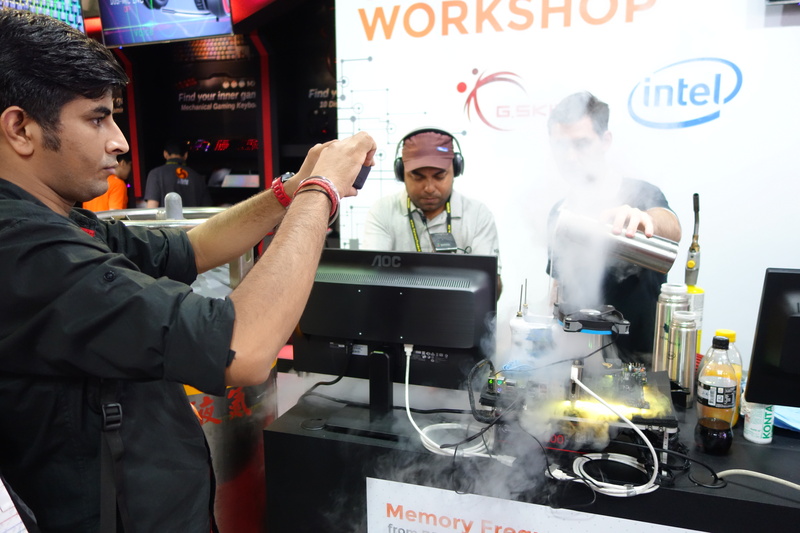 The event gave media a chance to see the latest processor platform from Intel in action, just hours before the official launch a the Intel Keynote speech the next day. 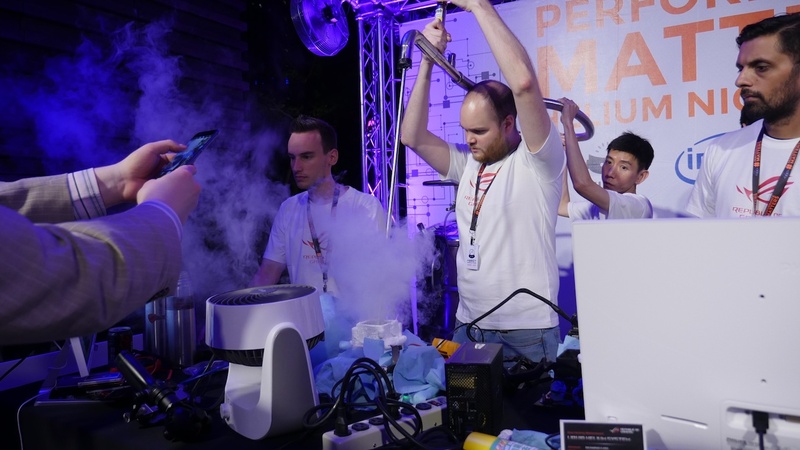 The event centered around an incredible overclocking session with Intel’s latest Kaby Lake-X processors and liquid helium. 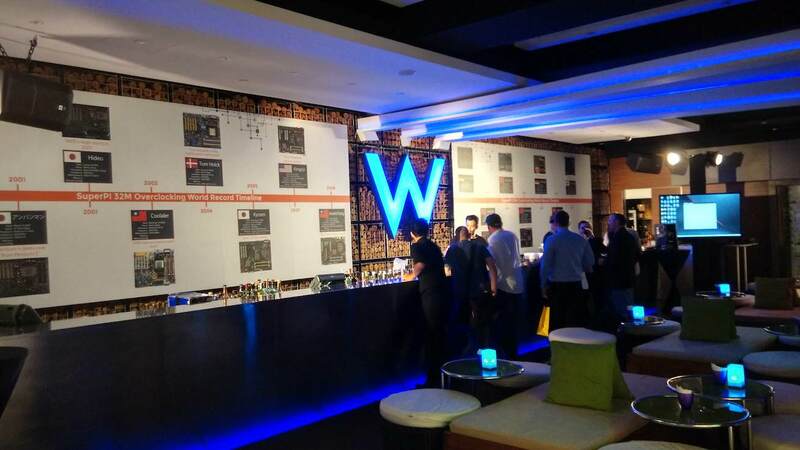 The Performance Matters Helium Night event was held at the W Hotel in downtown Taipei, Taiwan, one of the most iconic locations in the city. 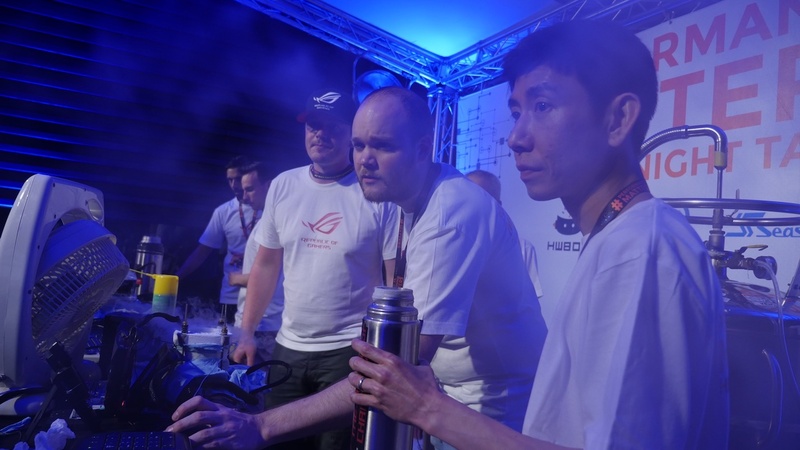 The liquid helium overclocking session was conducted by several members of the ASUS ROG team which included several well known HWBOT members; World No.1 Dancop was joined by fellow German der8auer ad Sweden’s Elmor. 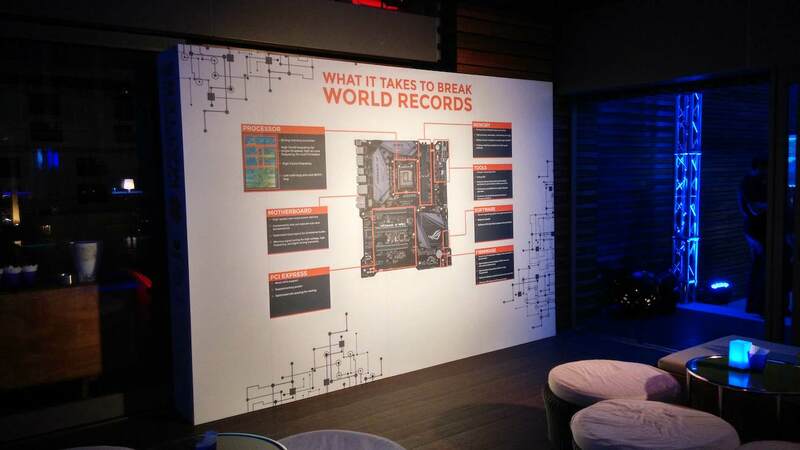 The session included several attempts at breaking World Records, many of which were smashed in front of the onlooking technology media. 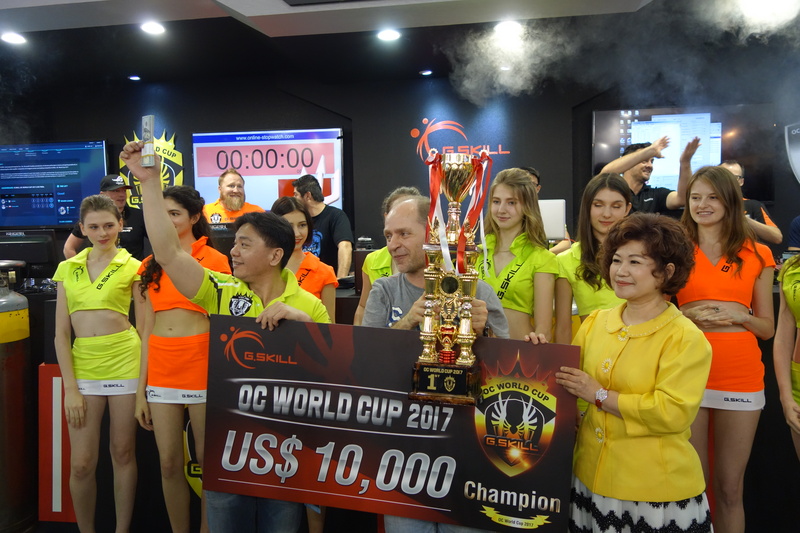 You can more about the Performance Matters Helium Night and the world records that broken that evening by reading this press announcement. 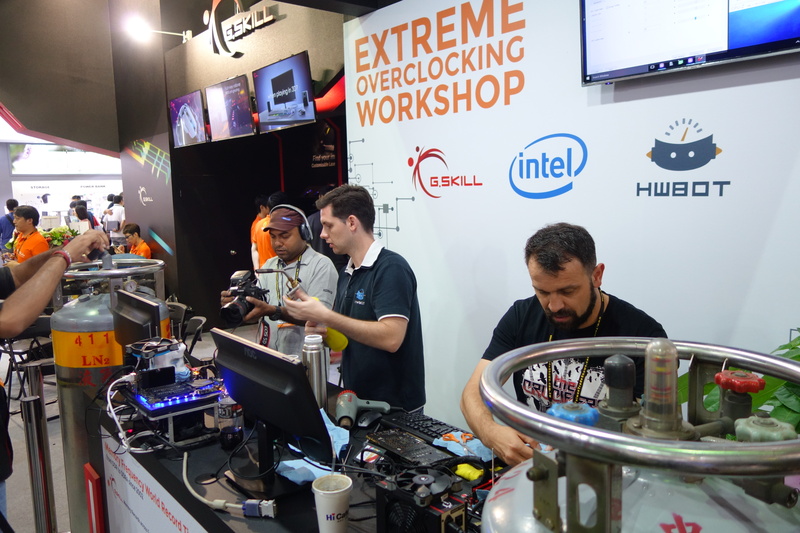 At the end of a grueling week with five of the world’s most respected extreme overclockers competing live at the G.SKILL booth here at Computex 2017, Italian overclocker Roberto ‘rsaninno’ has taken first place and the $10,000 USD prize. 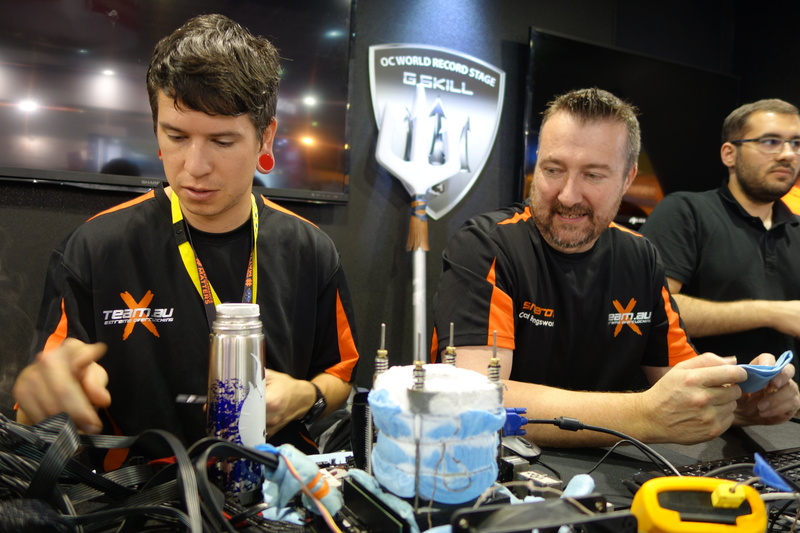 The final day of the contest saw the Italian go head to head against last year’s winner Xtreme Addict from Poland, historically one of the most successful live competitive overclockers ever. 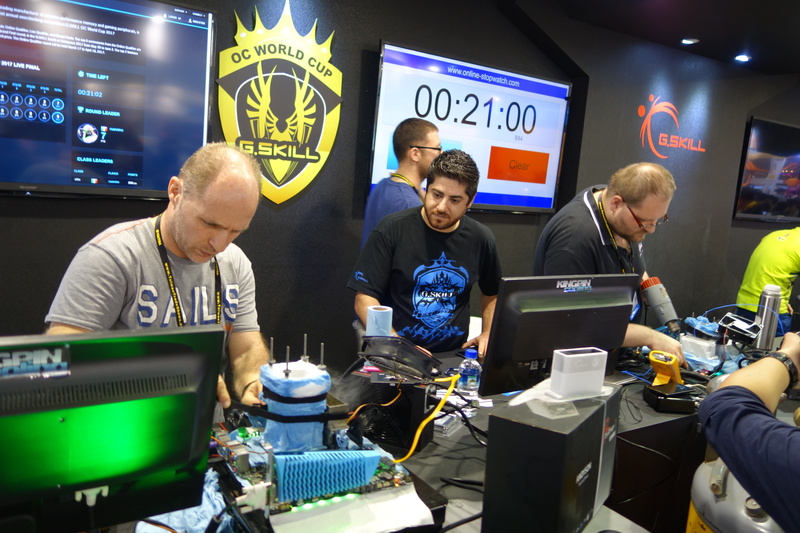 With less than an hour we found rsaninno marginally ahead on the score card with higher scores in three out of four benchmarks. 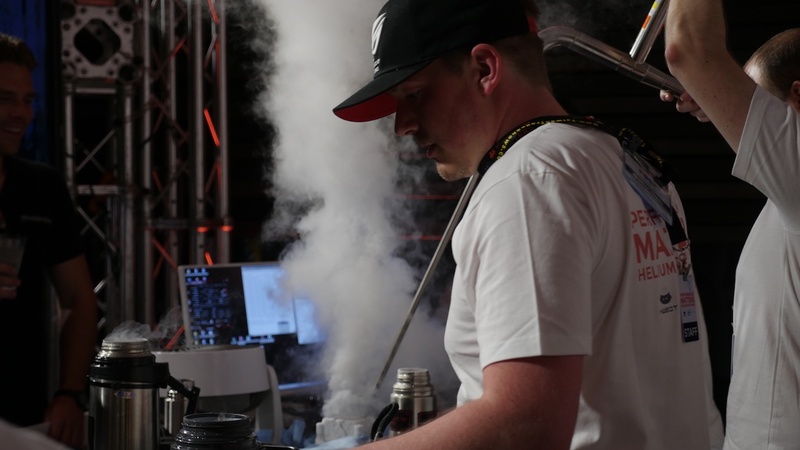 By the time the countdown clock had reached the end of the contest, we find rsannino sealing the win with victories in three out of four stage. 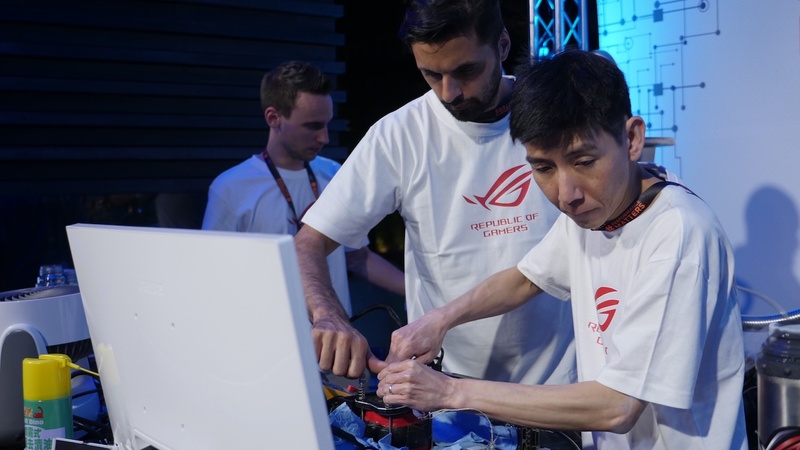 You can read a summary of the final day with this news article on the HWBOT website. 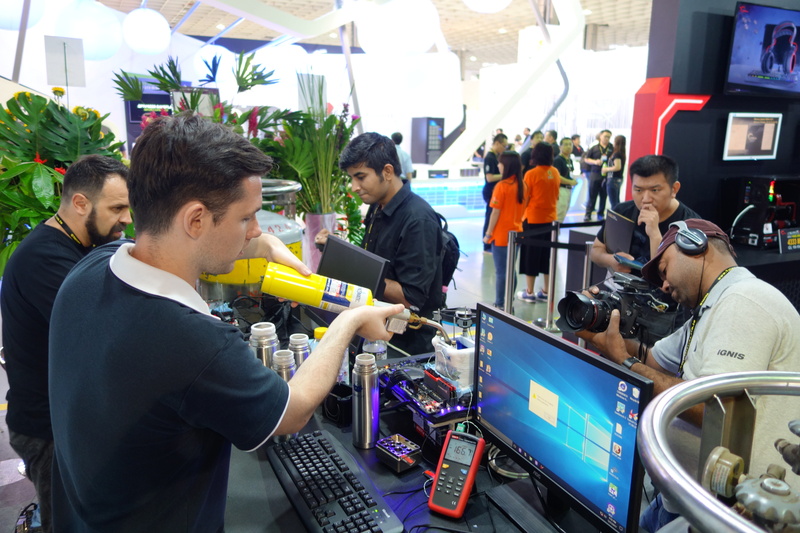 One major aspect of the HWBOT World Tour is to spread the word of overclocking and educate people about what it means to be an Extreme overclocker. 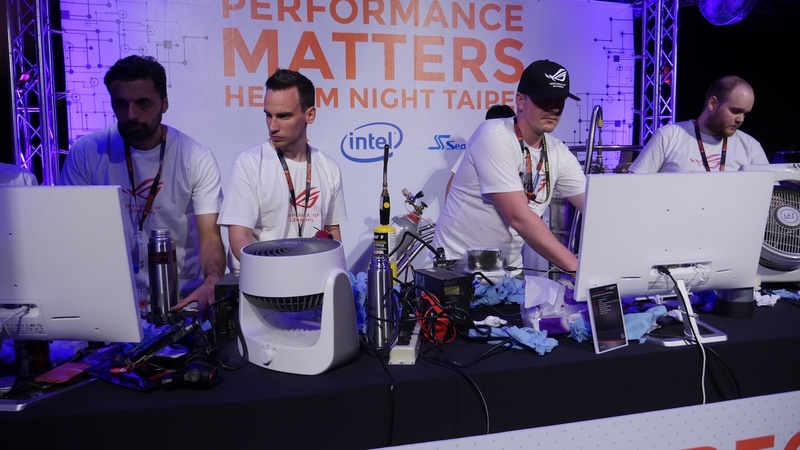 One of the main events at the Taipei 2017 leg of the tour was to reach out to some of the world’s most respected technology media to give them a 30 minute workshop that involved pushing an Intel Core i7 7700K to 7GHz. 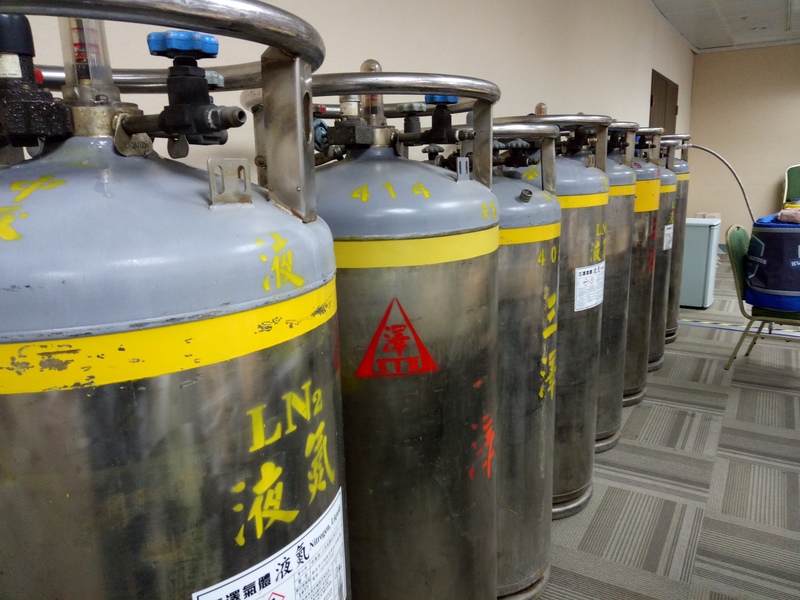 Noe mean feat. 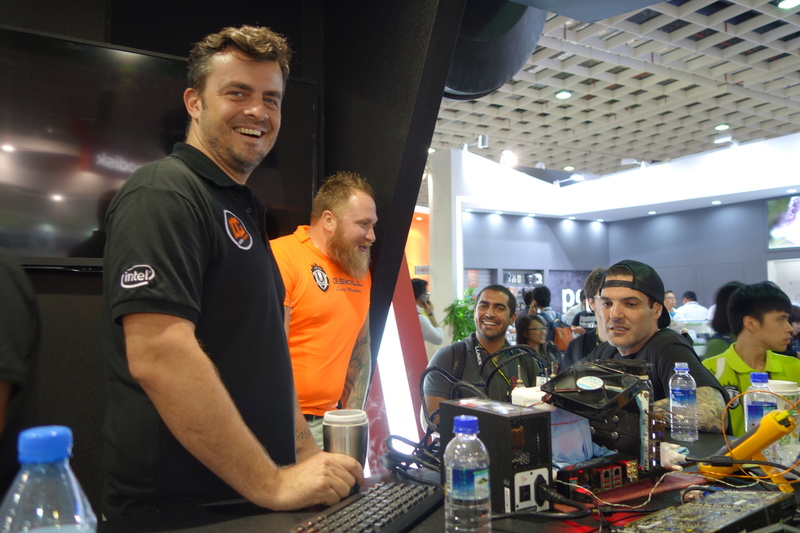 Hosted at the G.SKILL booth several media attended the Workshops including Gamers Nexus, Engadget and PCGamers.com.